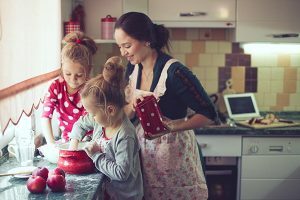 Starting a family involves many important financial considerations, some of which get overlooked due to a couple’s busy life right after marriage, after the birth of a child, or during career-building years. Despite good reasons to be busy, neglecting important matters can have adverse financial consequences. We educate and guide couples on important issues that impact their future. 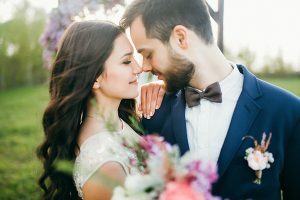 What should we consider as newlyweds? We work with newlyweds to help them with important considerations such as budgeting, life insurance needs, planning for a family, joint registrations, and beneficiary designations. 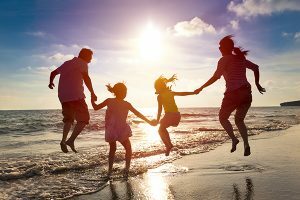 We also help young families evaluate investment and retirement account positions and make asset allocation recommendations to be sure each growing family is well served by an appropriate investment strategy. We create financial plans that grow with our clients, providing them with a road map to a more secure future. We offer access to our premium financial management program at no cost to our clients. Budgeting is easy once you establish your account and automatically load your spending data. Do we both need to work? Given appropriate data and assumptions, we have the tools, experience and expertise to look into the future to gauge your success or lack thereof if one of you wants to stay out of the work force. Do create a budget to support your financial goals. Do assess your financial situation. Do prioritize what is important to both of you. Do create a financial plan. Do talk about money with your spouse. Do share in family finances. Do put aside fun money. Do create an emergency fund. Do re-register your accounts that you wish to have in common. of women return to work after having a child. of married couples share chores. of women say finding a partner with a steady job is very important for marriage. Don’t assume either of you know what is best. Don’t tell your partner how to spend his/her money. Don’t forget to change your name on important documents, if applicable. Don’t randomly select your retirement account positions. Don’t forget to respect each other’s differences. Don’t assume you can afford to stay home if you decide to have children. Interested in having us help you? Click here to start today! Jen and Eric came to us because they wanted to start saving for their future. They had a modest savings account. Eric had a 401(K) plan from his employer, but he needed help selecting investments that matched his risk tolerance. Jessica had an IRA account. Its lackluster performance troubled her; she wanted to make strategic changes to grow her portfolio. We worked with Jess and Eric to build a portfolio that worked for their family’s long-term goals. Jen, a food scientist, wanted to leave the workforce when her twin daughters, Brittney & Sara, were born. It was a tough decision. Eric had a good paying job, but, he didn’t think they could manage without her extra income. So they asked us for advice. We started working on their plan, we helped them set up a budget. We asked many questions and crunched lots of data. When we were finally ready to run a couple of scenarios, we found one that worked! Jen was able to stay at home and bring up her girls. Today, the twins are 5 years old. The girls are ready for kindergarten and Jen is ready to get back into the workforce. We revisit Jen and Eric’s financial plan often so that they can continue to dream and work towards reaching their goals. © 2019 Womens Financial Help. All Rights Reserved.